Just revisited: 'Harry Potter & The Deathly Hallows' — Sorry, Internet. My biggest takeaway from this re-read is that these books are built to offer different experiences for readers of different ages. I hadn’t gone through the whole series since The Deathly Hallows was released over a decade ago, and I found myself focusing on pieces of story that didn’t stick out to me much at all back then. J.K. Rowling’s true masterstroke is that these books are more than entertaining enough to keep young readers interested, yet simultaneously nuanced enough to present meaty, emotional themes for a more mature reader. Dobby’s death wasn’t nearly as emotional on first read for me as it was this time; Harry’s walk into the forest wasn’t nearly as awe-inspiring a display of sacrifice on the first read, either. A greater understanding of the friendship, loyalty, love and personal sacrifice on display in those acts makes them all the richer with more years of experience in the brain that’s reading the words. So, that brings me to my theme of for The Deathly Hallows. My re-read of the Harry Potter series is prompted by the podcast Binge Mode, in which Mallory Rubin and Jason Concepcion are deep-diving into each book one by one. Matching the format of their shows, I’ve been choosing a theme in each blog for each book. For Stone it was joy, for Chamber it was duty, for Prisoner it was kinship, for Goblet it was division, for Order it was growing pains, for Prince it was passing the torch, and now for Hallows it is, indeed, sacrifice. Sacrifice is on display throughout each segment of this beautiful book, and a lot of times it takes the form of sibling themes — loyalty, love, friendship. I’ll start with a short, non-exhausted list of examples from the text, presented in no particular order, before expounding on my thoughts for a few. Harry’s self-sacrifice in choosing to walk into the Forbidden Forest and face death at Voldemort’s hand in the hope of providing a future for his friends and loved ones. Neville’s sacrificing his own safety at Hogwarts in order to set an example for his peers and the younger students by standing up to unjust rulers. Fred, Lupin and Tonks making the ultimate sacrifice — giving up their own lives — and, especially, Lupin and Tonks sacrificing a future with their newborn son, all in the name of helping to ensure a safer and more peaceful future for the wizarding world at large. Ron and Hermione sacrificing their final year of education and the relative comforts of Hogwarts in order to help Harry hunt horcruxes. The Weasleys sacrificing their home and their personal safety in order to help keep Harry safe from certain harm. Dobby sacrificing himself in a more pure act — the act of simply helping a friend in extreme, dire need. Kreacher sacrificing any remnants of his past pride and personal prejudices to help Harry and the rest of the fighters defend Hogwarts against those who would torment marginalized members of society. The members of the Order of the Phoenix sacrificing their own personal safety as they take Polyjuice Potion to assume Harry’s identity during the Flight of the Seven Potters. Dumbledore sacrificing the satisfaction of revealing his true intentions to Harry — a person he loved — in person, while alive, for the sake of allowing Harry to reach understanding and master the hallows on his own. Snape sacrificing any shred of personal ego, allowing people he admired to view him as an evil man, for the purpose of playing out his own critical role in Dumbledore’s grand plan. Of course, Snape also ultimately sacrifices his life; after his death, Harry learns the true intentions behind Snape’s actions and ultimately grows to consider Snape one of the bravest people he has ever known. Several of these are pretty self-explanatory, but I want to jot down some thoughts on a few of them. During this re-read, I found myself instantly drawn to Harry even more than I had been throughout the fifth and sixth books. This surprised me because, especially in Order, we are in Harry’s head to such a degree that it’s almost impossible to view the events of the story through any other lens. But this go-round, I was drawn to Harry from the perspective of the omniscient reader — specifically drawn to Harry’s sense of leadership and purpose. 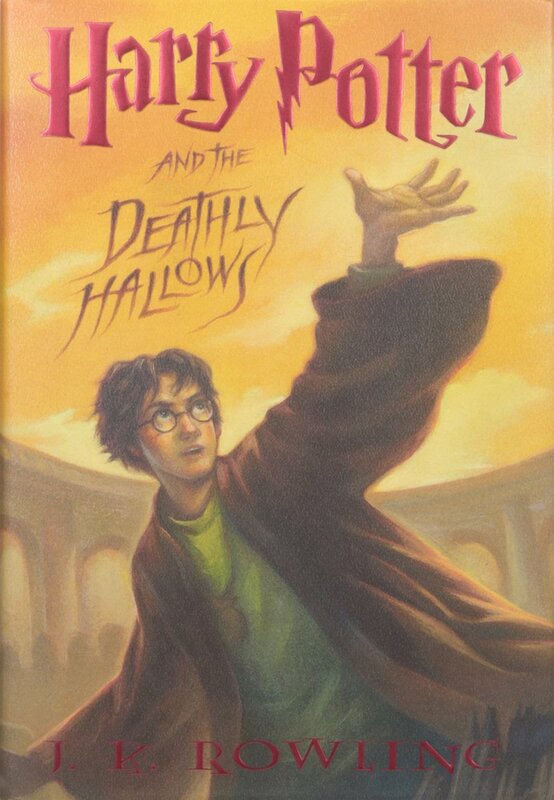 Harry’s demeanor and leadership mentality is much more forceful in this book than at any other time in the series. It’s Rowling’s way of showing us how fully Harry intends to take the reins from Dumbledore and complete the task that Dumbledore has set for him. But as a reader, you absolutely burst with pride even in the first few chapters of this book as you can instantly recognize the degree to which Harry has grown since even just the last time you were with him. I’m not mentioning the movies in this blog, but this is the best part of both Hallows films. The powerful decision-making Harry does at Shell Cottage when making the crucial choice to hunt horcruxes rather than chase hallows is remarkable to read through. So much is going on mentally in this chapter, from the conversations with Griphook and Ollivander to Harry’s ultimate moment of near-total understanding, that it’s a thrilling read despite a lack of any overt action. It’s another flex from JKR that she can make a series of two conversations seem like such a rush, and you’re again flooded with pride at the choice Harry makes and how sure he is that he’s done the right thing in the moment. Toward the end of the story, though, I found myself much more drawn to the shoes of Dumbledore and Snape than I remember from my first readings of this book. Dumbledore’s sacrifice — to leave the world without ever fully explaining to Harry why he did exactly what he did — was such a heavy burden in the back of my mind. This makes the chapter at King’s Cross so ultimately satisfying and such a triumph for JKR. We learn so much about Dumbledore’s headspace and how highly he thought of Harry in this moment, and it’s truly beautiful prose to boot. On the side of Snape, this re-read of “The Price’s Tale” was absolute waterworks for me. The devotion that Snape shows to Lily throughout his whole life is a remarkable thing, and from a plotting perspective, the way that JKR manages to close so many loops through a series of flashbacks is marvelous. Finally, Harry’s long walk to the Forbidden Forest in “The Forest Again” can be so difficult to read. The self-sacrifice that Harry chooses to make — thinking on one hand that he has no choice, but knowing deep down that it’s the act of choosing that makes him strong — is an absolutely mind-bending display of bravery and understand for such a young person. It’s the true culmination of Harry’s hero’s journey, and it’s perhaps the most pitch-perfect chapter in a book that’s quite littered with them. Rowling shows extremely admirable restraint in this chapter, choosing simple phrasing and powerful imagery in a sequence that would have been quite easy to overwrite. “Every second he breathed, the smell of the grass, the cool air on his face, was so precious: To think that people had years and years, time to waste, so much time it dragged, and he was clinging to each second.” Harry’s realization of his own body as a minuscule miracle is absolutely brutal; the type of realization that feels a shame to reach when the end of your life is so near, or appears to be. I could go on and on here, and perhaps I’ll write more about this book in a later blog; I’m thinking I’ll go back and re-read the ending again, from the moment our trio apparate into Hogsmeade and on, because so much happens in so little time that it seems worth another visit. Suffice to say for now that revisiting this story has brought me much joy and I can’t wait to find out what this text reveals for me when I revisit it again at an older age. Harry Potter & The Deathly Hallows is available on Amazon in e-book, hardcover, and paperback editions. It's also available on Audible; if you click this link, you can get a free trial of Audible that includes two free audiobooks. Even if you cancel your trial, you'll get to keep these two books. Also: clicking on any of the Amazon links in this post, and purchasing something from them, provides a small percentage kickback to the author of the blog you just read.